Hi, I’m glad to see you here. 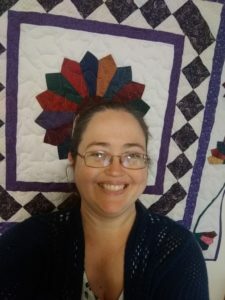 If you’re on this page of the site, you’re wondering, “Who is This?” My name is Lynette Spencer; I live in rural mid-America with my husband and pets. Both of us have family all around the county, and deep roots here. And we love books, all different kinds of books, with the result that our house is full of them and we’re repurposing our garage into a library. The written word is incredibly useful; I believe this deeply. It can teach you how to do something. It can explain what has happened in the past, or pass on speculations about what might happen in the future. It can pass on wisdom that others have learned through experience. Writing – books, webpages, blogs, ebooks, notes, letters – can change lives in big ways and in small, daily improvements. You can find help with anything from how to cook, to how to cope with stress, to how to deal with the loss of a loved one in books. Books can bring you down to earth and help you deal with your reality, and they can also take you to places you’ve never been – or ones that don’t actually exist – so you can have a mental and emotional vacation. I’ve started to write books that are useful in practical ways. They’ll be added to regularly, as they are finished. I’m also going to have shorter useful writings posted as blog posts and other printable resources. I’ll be including all kinds of useful writing, and talking about the kinds of useful reading I’ve been doing. Have a look through the different posts, sign up to get updates of what we’re up to, and drop me a note to tell me what kinds of writing and reading you’re doing too! Interview on J. Traveler Pelton’s website. Keep up to date on what we’re doing!